Pallets, hi-los, bar codes, and carriers. There’s a lot of terminology thrown around in the warehouse and beyond—in transportation, fulfillment, value added, and other logistics services. When you’re first starting out in the industry, it can be tricky to keep all of the terminology straight. It’s recommended to study these terms to make day-to-day life in the logistics industry a little easier. If you’ve ever wanted to brush up on your logistics terminology, the following are ten essential terms that you need to know while working in logistics. If you’re curious about more logistics terms, we have a pdf with hundreds of logistics terms. Read to the bottom to download the pdf! A “third party logistics company,” or 3PL, is just one type of business that provides logistics-related services. 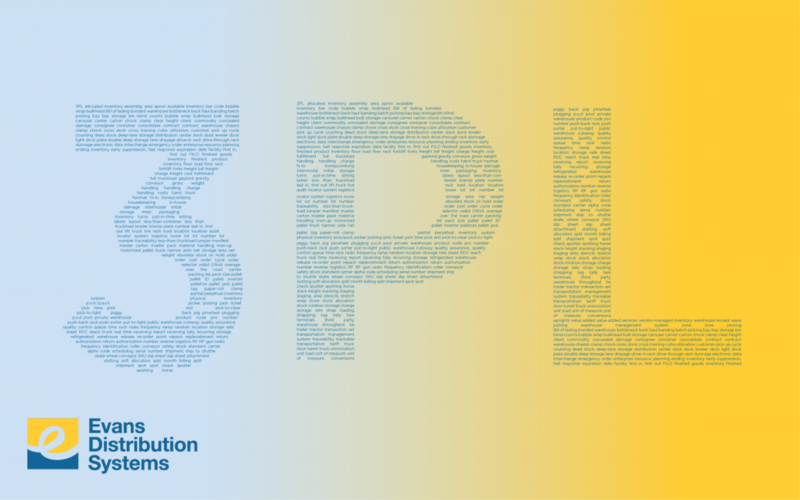 As a third party, a 3PL provider may work to distribute and receive product, as well as coordinate shipping, transportation, and warehousing. These functions may be managed in the 3PL warehouse, or the client’s warehouse, depending on the situation. This is perhaps the most important element of transmitting packages and information—the identification code (as shown in black bars) that designates what product is being shipped and where. Without a bar code, it would be impossible to coordinate the shipping and handling process. A bill of lading, also known as a BOL, is an official document which is designated as a contract between the owner of the freight being transported, and the carrier. The BOL is signed by the driver, who then takes responsibility for the freight. Upon successful shipment, the BOL is signed by the customer, whose signature indicates that the shipment was received on time and all items were received undamaged. The BOL then becomes a POD (Proof of Delivery) document. The carrier might refer to a company’s own transportation capacities, a transportation company, or a railroad. The carrier will transfer goods from the client to the customer, and from the customer to the consignee. The responsibility of the carrier is to carry goods safely, keep the goods in top condition, and transport them safely. Rather than accepting stock and placing it in storage, goods are temporarily stored at the dock, or set up for immediate delivery. The goods might not go out immediately, but be briefly stored before being shipped again. A warehouse facility, or distribution center, stores, manages, and ships inventory for its clients. Product might be immediately shipped, or put into storage for future orders. Distribution centers are often located strategically, near highways, railroads, border crossings, and other major roadways. Enterprise Resource Planning, or ERP, refers to the types of activities facilitated by multiple module software—such as accounting, purchasing, inventory management, supplier management, customer service management, and order tracking. Beep beep! You can’t enter a warehouse without hearing the call of the Hi-Lo. A hi-lo, of course, refers to a forklift. The name “hi-lo” depicts the capacity and ability of the forklift to move up and down, and transfer heavy goods from one location to another. You can’t have warehousing without pallets—the wooden or plastic bases where layers of product are stored upon and transported with a forklift or pallet jack. Stock Keeping Units are just one part of the language of the warehouse, but they are incredibly important. A SKU refers to the identification code for a store or product. This is a machine-read bar code that helps keep track of the item. A warehouse management system is a piece of software that directs the put-away, replenishment and picking in a warehouse. The movement and storage of product in the warehouse is directed through these three components. There you have it—ten terms that are certain to make your daily life in logistics operations a little easier. Ready for more? Click below to download the free pdf, full of logistics terminology across the warehousing, transportation, fulfillment, and value added space.